last month I designed a mobile for newlyweds in new york. 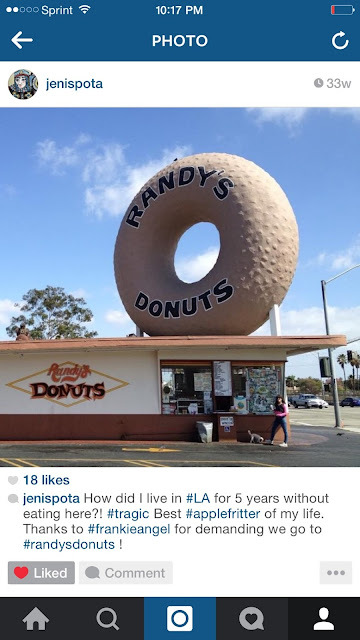 jeni's best friend renee sent me pics of jeni and frankie and this is just one of the images I flipped over.... ! 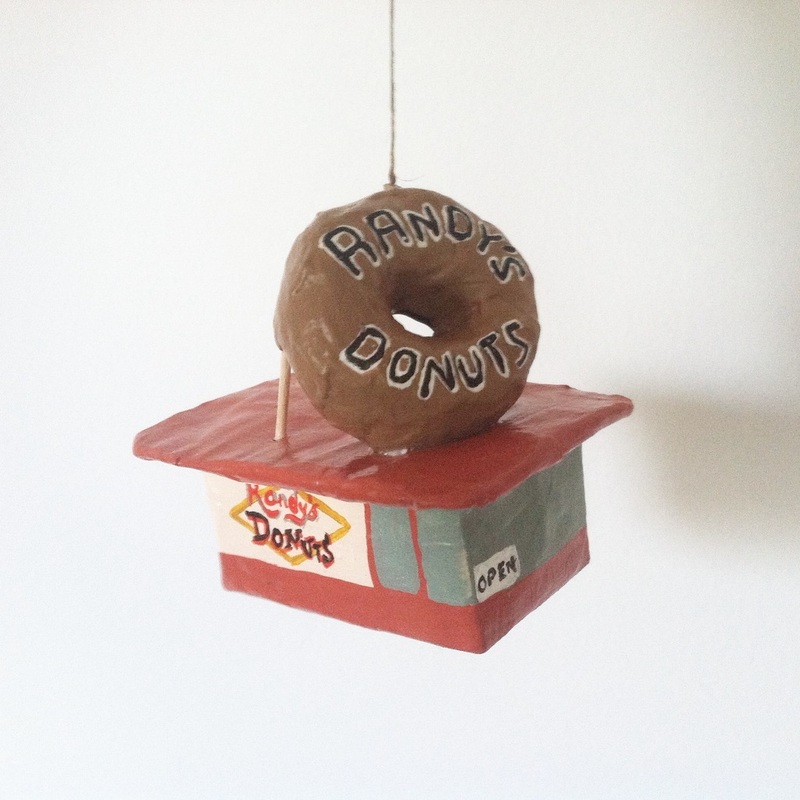 randy's donuts was definitely going to be on their mobile. I wish I could share more photos of it but unfortunately my old computer crashed. thank goodness i had this image (top) saved on my cell phone. ta da! 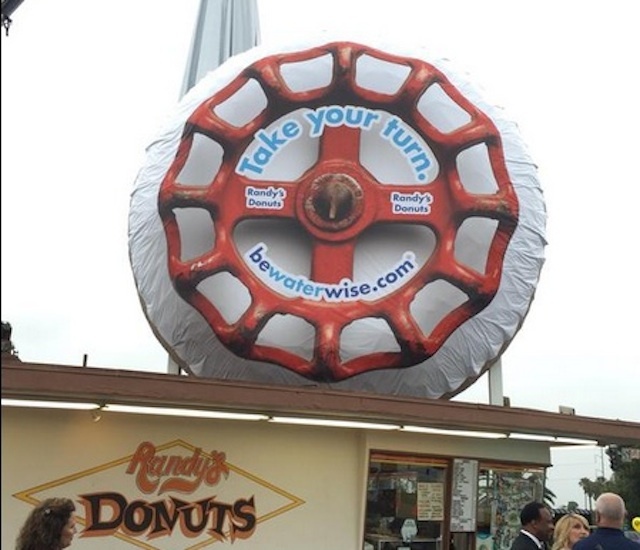 randy's iconic donut has been transformed into a red water spigot knob! (an effort to encourage locals to be water wise). 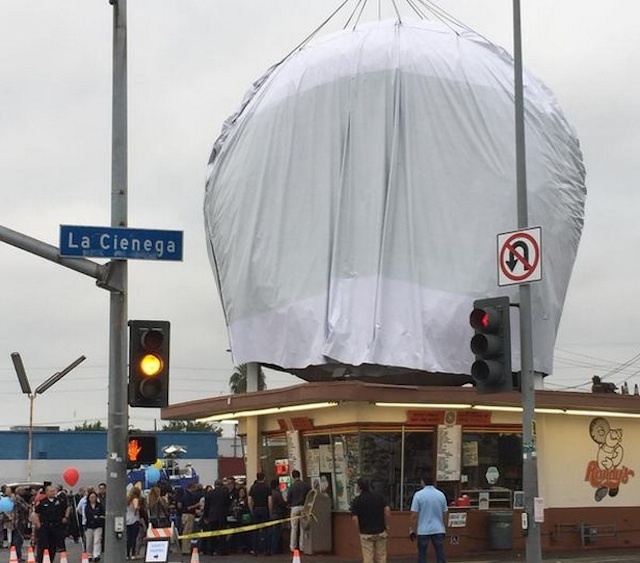 customers who pledged to save water were treated to a free donut, yes! AWESOME mobile Kim. One of my faves of all your mobiles this year. Gawd, I'm kicking myself though. Just googled Randy's and we quite possibly passed it on our way out of LAX. We must've blinked or been asleep! Big bummer! Thanks Sas! Yeah, it was prob right next to your car rental place at LAX. The tinted windows in your big SUV, driving on the left side and jetlag must've deterred your vision. Let's put it on the list for next time. I'll meet you there! So classic and your replication was on point! I felt so good giving this incredible gift! and i'm so glad that you're my friend now too!! !